One of Britain’s brightest young endurance talents, Emelia Gorecka combines a demanding training schedule with studying psychology at one of the UK’s leading universities. 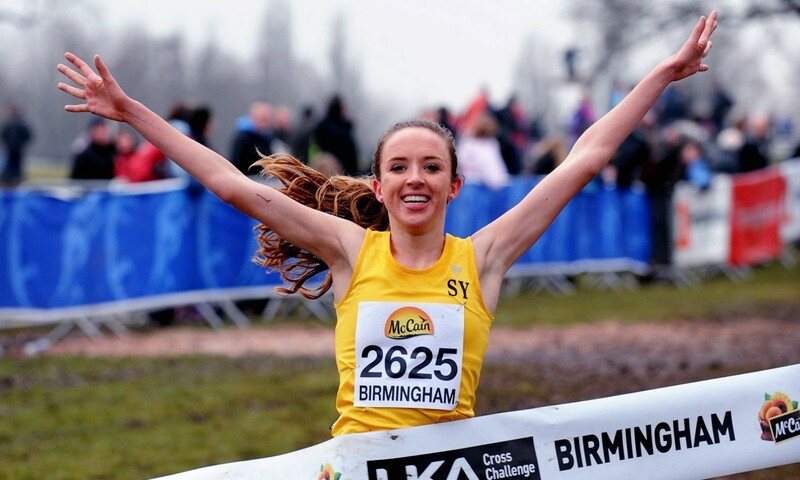 The European junior 3000m champion and twice European junior cross-country champion spoke to AW about how she does it. I’m now in my second year at Royal Holloway, University of London, and although every day is busy, I am loving every minute of it. 8am: My alarm goes off, but I ignore it. When it rings for the third time at 8.15am, I finally stagger out of bed, keen not to start the day rushing around. I try to avoid stress as much as possible. I switch on my laptop, turn on iTunes and put on some of my favourite music. I get a glass of water and get changed for my morning run. This involves putting on my back harness for my scoliosis, as I like to practise controlling my rotation on some of my longer runs. 8.30am: I go (with my iPod firmly in position, I hasten to add) for a 50-minute run around Virginia Water. I know what time I will run for that loop when fit, and when not feeling so good and I cannot help but be competitive with myself! I get into my own little world, admiring the beautiful scenery. I come back covered in mud, so I shower and eat caramel porridge and jam on toast – I have a sweet tooth! I live a 10-minute walk from uni, but having just run and saving my legs for the week’s training, I convince myself it is acceptable to drive. I’m a lazy student at heart! 12pm: After a detour to get my doughnuts, it is straight to lab class, where we work on a computer calculating stats in psychological research. Yes, it is as interesting as it sounds! Afterwards, I get lunch. Usually a chicken wrap and fruit. 2pm: My final lecture and it is two hours long. It is a hard life being a student! I always try and sit at the back of the lecture hall so that I can stretch my legs out. I make sure I write notes from this lecture, as it does save time when exams come around. I can be organised. 4pm: I may go for a 20-30min recovery run to loosen my legs and get them feeling good, but it depends what phase of training I’m in. 5.15pm: As a sports scholarship student, I have access to a strength and conditioning coach, Louis Howe, in the university gym. I was new to weights when I started university, and I have come to really enjoy doing some training which is not running. I am usually one of the only girls in the weights area and the only one not grunting loudly every time I lift a weight to show how heavy it is – probably because my weights aren’t that heavy. I have skinny long-distance runner’s arms! 6.30pm: I drive back to my accommodation – a flat above a butchers. I have usually put food in the slow cooker, so I love walking in to the smell of a cooked meal. Perfect for a hungry athlete! Evening: I usually find some work or admin to do but will end up having TV catch-up time where I watch anything I have missed over the past few days, with my favourite being Coronation Street . I often Skype friends and family to unwind before going to bed at about 11pm. Every day is busy, but I would not want it any other way. I love running, but I also find it very important to have a balance in my life. My athletics career will not last forever, so I want to get a good degree to set me up for a life after athletics. I am no different to any other 20-year-old girl and like doing my hair and make-up and chatting with my friends. I just have to be disciplined and ensure I have time to train, rest and study. I am really enjoying having the opportunity to be at a good university and fit in my training.